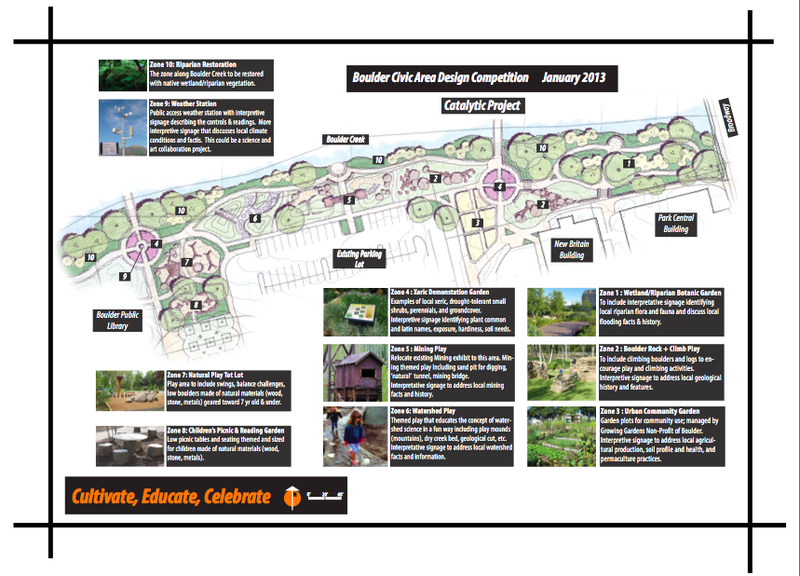 Several design teams used the project Guiding Principles to create designs for the Boulder Civic Area. 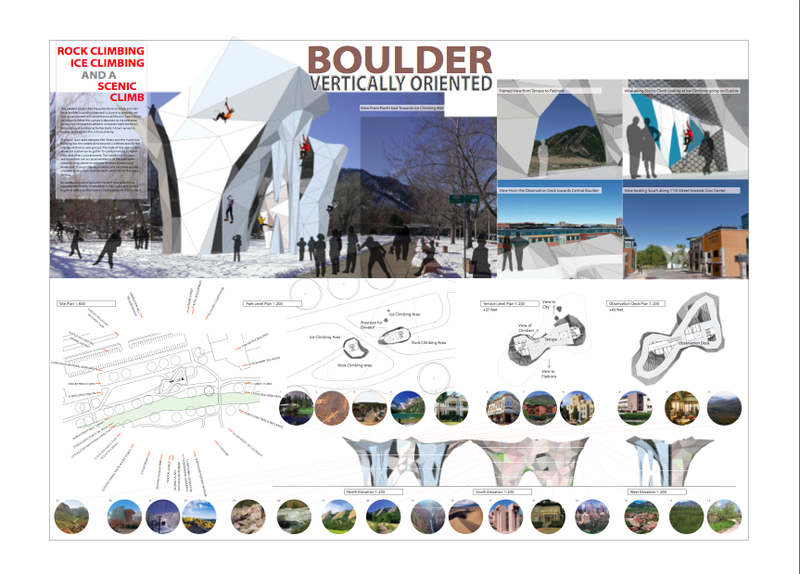 The designs were posted on the Inspire Boulder website and opened for public comment. This plan featured many things the children love to do, and things that made them curious. It also featured many ideas they had discussed during our field trips to visit this space in the Fall of 2012. This was the project that appeared to take the youth ideas into account in the strongest way. Thus, it is not surprising that this was their favorite design. The children were intrigued by the opportunity to learn about mining. In fact, they brought mining into conversations about each subsequent design we examined. They also loved all the different gardens, and had lots of questions about what types of plants would be there. They also loved the different natural places to play and climb. The children were very drawn to the trains in this project. They were drawn to the remnants of train tracks in the current space when we visited it. They often speculated about ways to use those tracks and get more trains there. Thus, they were very excited to see trains in this design. They were also drawn to the proposed theater space in the design. We speculate this is because they really enjoyed playing in the bandshell that currently sits in the space. The children loved this plan. 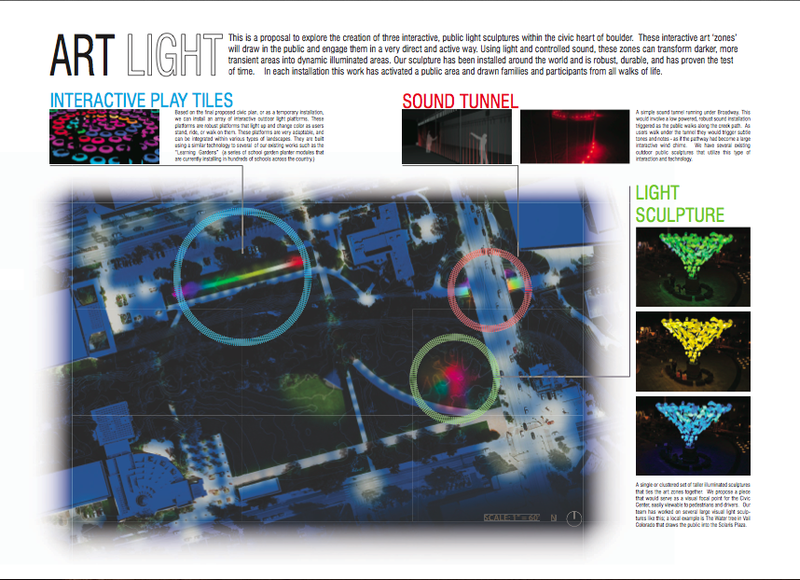 They were drawn to the graphics, but also to the idea of being able to interact with the different lights. Throughout the course of this project, they talked about light in the space often. They were usually referring to the sun and the shadows it makes, so we think both the possibility of visiting this space at night and the possibility of actually manipulating the lights intrigued them. The children really liked the idea of being able to work with recycled materials in this space. They expressed tons of interest in building and creation when we visited the space. They also talked about adding opportunities to create things in the space, and wanted everyone who visited to be able to create things (including children, adults, and workers). They found this design intriguing, as it would provide those opportunities. The children were very intrigued by this project, but also a little nervous about how everyone who used it would stay safe. They love to climb on things, and did so often when we visited the Civic Area on Field Trips. They also talked about wanting bungee jumping in the Civic Area. 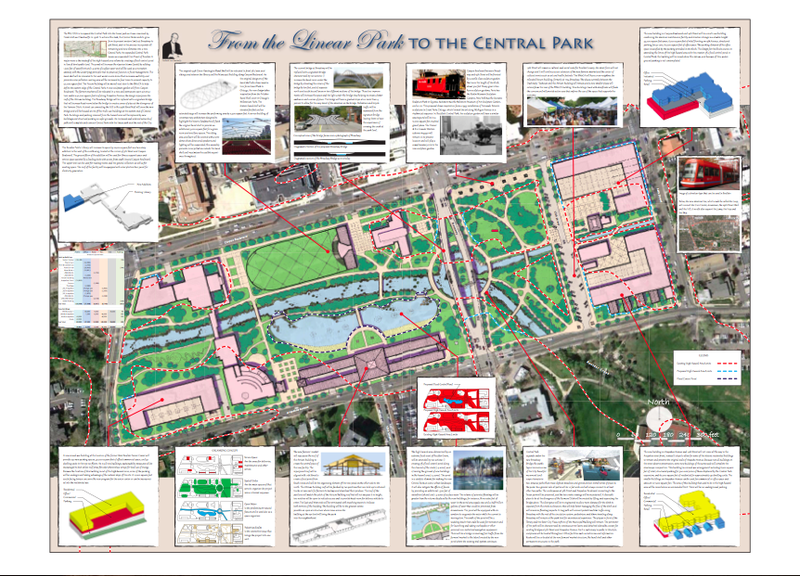 "From Linear Park to Central Park"
This fact, coupled with their initial comments, lead us to conclude that these two were their favorites. 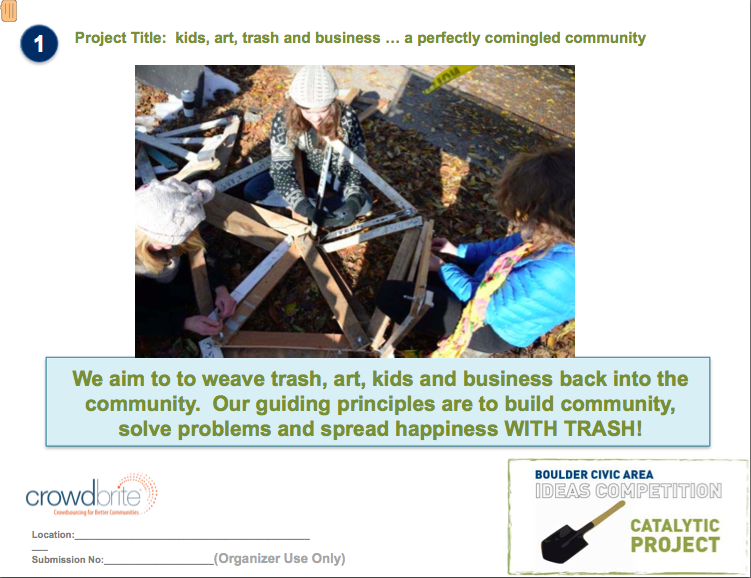 We continue to see them incorporating elements of these designs into their discussions about the Boulder Civic Area, and their play in their classroom.